Native American tribes share their success stories using geographic information systems (GIS) technology. Redlands, California—A new book from Esri tells the stories of how Native American tribes use geographic information system (GIS) technology to help manage and govern their sovereign nations. 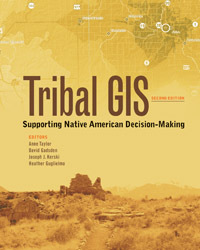 Tribal GIS: Supporting Native American Decision-Making, Second Edition, details how dozens of tribal governments have used GIS for projects such as conserving and protecting the environment, monitoring and managing infrastructure and natural resources, preserving history and culture, studying health issues, and planning how best to use ancestral lands. Most of the stories are told by staff from tribes such as the Chickasaw Nation, the Navajo Nation, the Confederated Tribes of Siletz Indians, the Seminole Tribe of Florida, the Agua Caliente Band of Cahuilla Indians, and Fond du Lac Band of Lake Superior Chippewa. Tribal governments were some of the earliest adopters of GIS. Tribal leaders understand that the technology is critical for managing information and finding solutions to complex issues, according to Esri president Jack Dangermond. "GIS has become a common platform for problem solving by helping tribes organize and analyze data, as well as collaborate and communicate on countless issues," Dangermond wrote in the book's foreword. Tribes have used GIS to conduct road inventories, manage and protect archaeological sites, plan economic development projects, and analyze and visualize health data. For example, the Pechanga Band of Luiseño Indians in the Temecula Valley in Southern California used GIS in a successful effort to preserve land of cultural importance to the tribe, preventing that area from being developed into a rock quarry. In Montana, the Fort Peck Assiniboine and Sioux Tribes used GIS to study an asthma problem in its community. The book contains many more success stories including those in the chapter "New Applications of GIS," which describes how tribal governments are taking advantage of the latest geospatial technology including Web GIS, 3D GIS, Esri Story Maps apps, and ready-to-use field data collection apps. The Chickasaw Nation in Oklahoma, for example, created a digital mapping system that helps route police officers and first responders to emergency calls more efficiently. Officers can access maps using iPads or computers in their patrol cars. Native Americans also are authoring story maps to educate people about language, culture, and tourism and recreational opportunities. The Agua Caliente Band of Cahuilla Indians created story maps to showcase its public golf courses and the Tahquitz Canyon Trail in Palm Springs, California. And James Rattling Leaf of Rattling Leaf Consulting, LLC, headquartered in South Dakota, worked with Esri to author the Lakota Language: Lakota Wicowoyake Canku owapi story map, which teaches people how to pronounce common words, such as house, hill, lake, road, and tree, in Lakota. Tribal GIS was edited by Anne Taylor, David Gadsden, Joseph J. Kerski, and Heather Guglielmo of Esri. 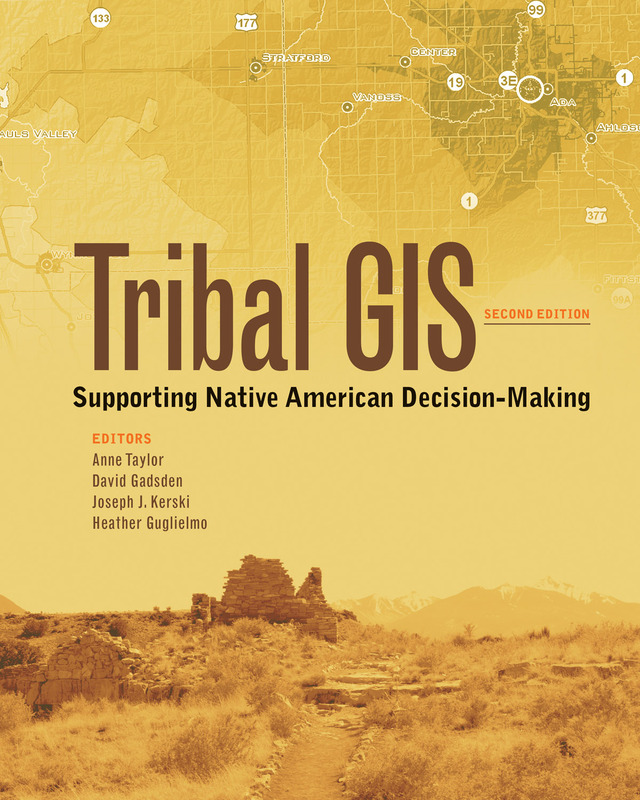 Tribal GIS: Supporting Native American Decision-Making is available in print (ISBN: 9781589485037, 221 pages, US$19.99) and as an e-book (ISBN: 9781589484962, 221 pages, US$19.99). The print and e-book editions can be obtained from online retailers worldwide, at esri.com/esripress, or by calling 1‑800-447-9778. Outside the United States, visit esri.com/esripressorders for complete ordering options, or visit esri.com/distributors to contact your local Esri distributor. Interested retailers can contact Esri Press book distributor Ingram Publisher Services.